The Central American Group: Welcome to another edition of the Central American Group’s podcast. In these recordings, we have conversations with people who are experts in our organization and outside our organization. Today we are speaking with an expert from outside of the organization. His name is Mauricio Bonilla. He is the managing partner of the Advice Legal Studio which is based in San Jose, Costa Rica. He will talk to us today on the topic of intellectual property protection in Costa Rica. Hello. How are you? Welcome. Mauricio Bonilla: Hello. Thank you. It is great to be here. The Central American Group: Thank you very much. Today we are going to talk about intellectual property protection in Costa Rica. Before we start that conversation, however, could you tell us a little bit about yourself and your company? Mauricio Bonilla: Sure. Thank you. As I said, it is a pleasure to be here. Advice Legal Studio is a full-service firm that has been in existence for approximately six years. We assist and work with clients from all over the world in the areas of corporate intellectual property, labor and immigration law, and so on. Basically, we have a full-service firm. We are six partners. We try to think that we are a law firm that partners with clients in order to not only assist them in legal matters but also partner with them in all their dealings in Costa Rica. We are here to assist them in any legal matter that they need. The Central American Group: Before we talk about intellectual property protection in Costa Rica, could you give us a general overview of what the situation is on this topic? Mauricio Bonilla: Yes. Sure. The country’s government has worked a lot in the last decade or so in trying to have the best legal framework for the protection of intellectual property in Costa Rica. In general, any company, and in particular those that are working with innovations, that are manufacturing in Costa Rica (or in any place in the world) should also have proper and professional legal assistance to deal with intellectual property in Costa Rica. This is very important. We need to remember that intellectual property rights are a key for securing exclusivity and the ability to profit from their innovations. It is very important that companies are accompanied by proper legal assistance and work together with their lawyer on issues of intellectual property protection in Costa Rica. The probably is that people, or companies, usually focus on developing products or in fabricating and manufacturing them. They sometimes put off legal assessments of their innovations. Sometimes they discover, regretfully, in many cases that they are too late. People forget a principle in life: that early prevention can save you from a painful cure. The Central American Group: That leads me to ask this question, I believe that I am making an assumption here, but perhaps you can give me specific information? Because Costa Rica, over the last several decades, has become a prominent player in the manufacture of medical devices, I would guess that this is a particularly important topic for people who are in that industry? Mauricio Bonilla: They are. As I mentioned, those companies that are involved in product innovation, It is key for them to protect their intellectual property and to have good advice and legal assessment. The Central American Group: If someone comes to your firm and they are looking for assistance in this area, what do you advise them to take as their first steps? Mauricio Bonilla: The first thing you must do is to confirm that your company actually owns the IP rights that you are developing, and this is done by using agreements that require employees and consultants that work developing your new products, to assign any and all IP rights to the company. Remember that in some legal systems, the creator is the presumptive owner, so that is why these agreements are extremely important in terms of intellectual property protection in Costa Rica. The Central American Group: What intellectual property rights must a company protect? There are several but let’s focus on Patents and Trademarks. In the case of a patent, for example, a patent application must be filed as early as possible and before public disclosure or commercial activity of the product. People tend to assume that filing a patent application automatically results in enforceable rights, but that’s not the case, in order to have enforceability you must have an issued patent and that usually takes between 2-5 years, or even more. The Central American Group: What are some of the issues that a patent solicitor that is concerned with intellectual property protection in Costa Rica must consider in a patent application? Mauricio Bonilla: One of the most important issues are the “claims” of a patent. Claims made for intellectual property protection in Costa Rica define the scope of the invention, and, therefore, what one company can prevent others from doing. You can have as many claims us you can justify in the application. 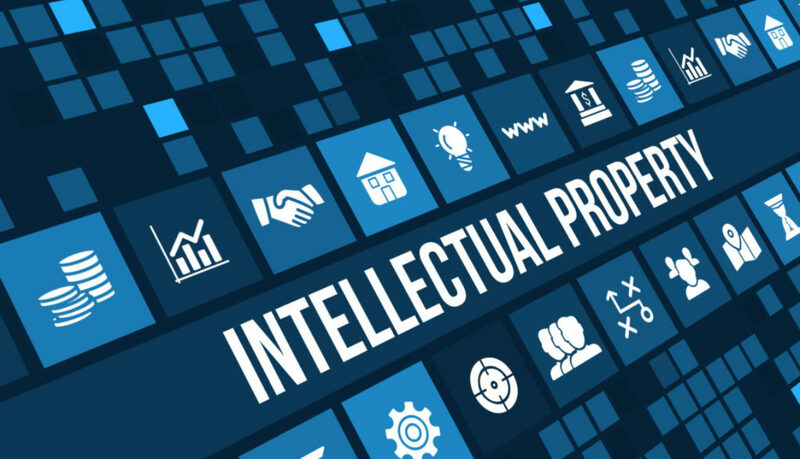 Good legal assistance is very important in this since competitors tend to use the information in a patent but avoid infringement by figuring out a way around the language of these claims. Another very important matter is that people tend to think that patent applications are formats or templates that an IP lawyer has. Each patent is different and unique, otherwise, it could not be granted. Each patent is tailored to the invention it is meant to cover. Most of the time, the quality of a patent, of course, is determined by the invention. It’s also driven by the quality of the drafter of the patent application. This requires significant attention and care. Time and money must also be invested in intellectual property protection in Costa Rica. The Central American Group: What about the so-called “patent searches?” Can they be done and how important are they? Mauricio Bonilla: Patent Searches are extremely important, and they can help companies and individuals save lots of money in potential infringements or in patent applications that could not be granted. Imagine, for example, that you have a great idea on how to improve a product, but regretfully a valid patent covers this product. If you commercialize your improved version of the product, you would be subject to infringing another patent owner’s rights. Or in this case, which happens a lot, you have a great idea and plan to file a patent application, but on the other side of the world, in India for example, someone thinks about the same idea and files the application first. So, the recommendation is that before developing, marketing or investment in a product that you think is an innovation and is unique, please do the necessary due diligence to confirm what other claims (patents) indicate in that same area. The Central American Group: Please tell us something about the “patentability” of medical devices, and what companies must consider in order to achieve intellectual property protection in Costa Rica? Also, a party cannot be granted a patent for a known medical device in respect to a second or additional medical use. For example, if you discover that an injector that is usually used for diabetes, can also be used not only to supply insulin but to inject another drug to treat a different disease. The solicitor must also remember that patents are national rights for intellectual property protection in Costa Ria. For example, a patent granted in Costa Rica does not necessarily provide protection in the US or China. There are methods and strategies that you can use in the early stages to be protected. Publication of your application usually means that the invention is no longer new in other countries. Central American Group: What about trademarks? Mauricio Bonilla: As we have said, together with patents, medical device manufacturers must be aware and have good legal assistance as regards trademarks. The basic rule is, register your trademark in order to have intellectual property protection in Costa Rica before launching or investing in marketing. Imagine, for example, to think of a case of a company that is developing a product and thinks of a great name for it. The name that the manufacturers come up enables consumers and medical professionals to identify the product with the company, and they do not file the trademark and invest. They run the risk of investing in marketing only to discover at a later time that the name is exactly the same or even similar to an existing trademark. The name and logos are protected as trademarks under intellectual property in Costa Rica. Registering the trademark is a way to stop a third party from using identical or similar names which may confuse consumers or take advantage of your marketing and brand reputation. The Central American Group: What previous steps should be taken in order to file a trademark to ensure intellectual property protection in Costa Rica? Mauricio Bonilla: As mentioned earlier, it is advisable to file the trademark application as soon as possible and before selling the product. To do that, a trademark search should be done in order to confirm that the name of the intended trademark does not infringe a third-party trademark. If the search is done as it should be done, it will reveal pre-existing trademarks or applications similar or identical to the proposed denominations, so commercial decisions can be made before undertaking marketing and other efforts. Proper classification is also important since we need to remember that for trademarks an international classification exists that organizes all products and services in what is called a Nize Classification. For example, pharmaceutical and veterinary preparations are in class 5, while surgical, medical, dental and veterinary apparatus and instruments are included in class 10. Depending on what you want to protect you will have to go into the appropriate classification. This system is used in the protection of intellectual property in Costa Rica, as well as is internationally known and recognized. The Central American Group: This is a topic that there is a lot more depth to than we can get to in a short conversation. One of the things that we like to do for our listeners is to help them to make contact with people that are reputable and that can help them in Costa Rica and throughout Central America. If somebody that is listening to this podcast has a need for the service that you have described over these past few minutes, how could they contact you? Mauricio Bonilla: Email is the fastest and easiest way to contact me. My address is mbonilla@als.cr. The Central American Group: I would imagine that you have a website? Mauricio Bonilla: Yes, actually yes. Our website is www.als.cr. The Central American Group: Are there any parting words of advice that you to our listeners on the topic of intellectual property protection in Costa Rica? Mauricio Bonilla: In general terms, always have a lawyer close to you. As I said at the beginning of this podcast prevention is better than a painful and expensive cure. Make sure that you ask, consult, pose the right questions to the right people. That way you will probably avoid many headaches. The Central American Group: This discussion has been very informative. Mauricio, we wish you a good rest of the day and thank you for joining us. Mauricio Bonilla: Thank you. I am here any time that you need assistance. The Central American Group: Thank you very much. In order to ask written questions on the topic of intellectual property protection in Costa Rica, please fill out the form that is below. Today’s guest is Eugenio Quiros Benamboug from the Costa Rican Association of Free Trade Zones (AZOFRAS). The Central American Group: Hello. Welcome to another installment of the Central American Group’s podcast. We talk to experts in Central America about doing business in the region. Today we are fortunate to have with us Eugenio Quiros Benambourg. Eugenio is the executive director of AZOFRAS, which is the Association of Free Trade Zones in Costa Rica. How are you today, Eugenio? Eugenio Quiros: Hello. Good afternoon. Thank you for this opportunity. The Central American Group: Eugenio, could you first tell us a little bit about yourself, and then, a little bit about your organization? Eugenio Quiros: Hello everyone. My name is Eugenio Quiros Benambourg. I am the executive director of the Association of Free Trade Zones in Costa Rica (AZOFRAS). AZOFRAS is the representative of the Costa Rican Free Trade Zone sector. We are involved in the protection, defense, and, also, the development of business activity before governmental authorities, and, also, other private sector organizations. Since 1990, the Association of Free Trade Zones in Costa Rica has worked to improve the competitive positions of free zone companies and to provide solutions to obstacles that they face in terms of operations, and legal and fiscal issues among others. We also are a source of information and lobbying about the investment climate concerning the free trade zone regime, as well as are the recognized and qualified spokesman for companies operating under this regime in Costa Rica. We also generate awareness about the importance and positive impact in a socio-economic context of free trade zones in Costa Rica. The Central American Group: Thank you for that explanation of your organization. Can you please give us some specific information on what exactly the free trade zone regime is? Eugenio Quiros: For sure. The free trade zones in Costa Rica are the mainstay of the country’s investment and export promotion strategy. The zones are specifically a set of incentives and benefits granted by the Costa Rican Government to companies that make investments in Costa Rica. It provides tax incentives. There are several kinds of companies that can apply to be in free trade zones in Costa Rica. For instance, export services companies, manufacturing companies, scientific research firms, and free trade zone administrators, among others, can benefit from free trade zones in Costa Rica. Costa Rica’s tax incentives and benefits are standardized. They apply to any and all companies according to their operations. Because of this, there is no need for negotiation on a case by case basis. In addition, entities wishing to set up operations in free trade zones in Costa Rica that are outside of the greater metropolitan area of San Jose can enjoy greater benefits. The Central American Group: In terms of benefits that you are referring to, can you give an example of one that is enjoyed by companies that have set up operations in Costa Rica in a free trade zone? Eugenio Quiros: Yes. Companies that set up in free trade zones in Costa Rica can apply for income tax benefits and also, for instance, import tax relief. The program in Costa Rica is mainly a tax regime that is granted to companies that are making investments in the country. The Central American Group: What kinds of companies are members of AZOFRAS and are tenants in free trade zones in Costa Rica? Eugenio Quiros: The Association of Free Trade Zone Companies in Costa Rica groups together three types of businesses. These are free trade zone enterprises, free trade zone parks, and also suppliers. For instance, the last group can be made up of corporate services companies. The Central American Group: Could you give us an approximate or exact, if you know, number of companies that are members of AZOFRAS? Eugenio Quiros: At present, AZOFRAS has more than one hundred and fifty companies in its membership. This number represents, more or less, forty percent of the total companies that are in free trade zones in Costa Rica. The Central American Group: What does your organization provide to those members in terms of services? Eugenio Quiros: In AZOFRAS, we provide many kinds of services to our members. For instance, we provide technical advice regarding the free trade zone regime in the operational, legal, and fiscal areas. We also provide guidance and counseling on issues that are related to permits, procedures, and requirements that are specific to free trade zones in Costa Rica. We also provide statistical information on the free trade zone regime in Costa Rica and other countries. This is thanks to our partnership with the World Free Trade Organization and the Association of Free Trade Zones of the Americas (ASPA). We also offer support and guidance in the solution to obstacles related to the benefits of the free trade zone regime. Another service that is very important is the representation of the free trade zone sector before governmental authorities and other private sector organizations. Finally, we provide training related to the functioning and administration of free trade zones in Costa Rica. The Central American Group: What are some of the reasons why companies should consider setting up operations in Costa Rica? Eugenio Quiros: Well, this is a very good question. Costa Rica is internationally distinguished for many reasons. I could say that, firstly, the country has a proven track record. It has enjoyed more than one hundred years of a solid and stable democracy. Its economic stability and its innovation have made Costa Rica one of the top choices in the region of foreign investors. Costa Rica is the beneficiary of a strategic location because it is located in the hear of the Americas. It is connected to the world primarily by air and sea. Also, the country is a cradle for human talent. For those investors that seek excellence, Costa Ricans are well-educated and kind people that embrace challenges and welcome opportunities. Costa Rica also has a solid utility infrastructure. The country has a powerful, redundant, and plentiful energy supply that utilizes renewable energy that provides power to strategically located industrial parks and business centers. Finally, Costa Rica has great weather. The country enjoys a perfect climate that provides ideal conditions for several industries. Companies located in free zones in Costa Rica never shut down due to adverse weather. We are rarely affected by tropical storms. These are just some of the reasons why Costa Rica is the best investment option in the region. We invite you all to personally discover all that the country can offer. The Central American Group: Eugenio, could I add one more item beyond the things that you have mentioned? The Central American Group: Costa Rica has wonderful beaches, both on the Pacific and the Atlantic coasts. Eugenio Quiros: You can join the country, nature, and business. The Central American Group: One of the things that we always do in these podcasts is to ask the individuals that we are conversing with how listeners may contact them. How would listeners get in touch with you? What is the address of your organization’s website? Eugenio Quiros: Our website address is www.azofras.com. You can also find us on Facebook as AZOFRAS. Let’s get in touch. The Central American Group: Do you have an email address that people can use if they wish to get in touch with you directly? Eugenio Quiros: Yes. My email address is equiros@azofras.com. The Central American Group: Thank you very much for the information. I am sure that it will be of interest to people seeking to do business in free trade zones in Costa Rica. We want to thank you for joining us and we wish you a good day. The Central American Group: Hello. Welcome to another edition of the Central American Group’s podcasts. The subject of these programs is doing business in El Salvador, Costa Rica, and the rest of the Central American region. Today, we have with us, Patricia Figueroa. She is the executive director of an organization called CAMTEX in El Salvador. It is the Chamber of Commerce for the nation for the textile industry in El Salvador. How are you doing this morning, Patricia? Patricia Figueroa: Hello. How are you? The Central American Group: I am doing well. We have a few questions that we would like to ask today to learn about the textile industry in El Salvador. The Central American Group: Can you please tell us about your organization and your membership? Patricia Figueroa: Yes. CAMTEX is the association that represents the textile industry in El Salvador. Textiles is one of the leading sectors of our economy. It accounts for more than forty-five percent of the total exports of El Salvador. We have 110 members in our association. Most of the companies that are doing business in El Salvador, particularly related to the export sector in textile and apparel, are member associates. The Central American Group: We would like to know where the textile manufacturers are located in El Salvador. Could you tell us where they are in the country? Patricia Figueroa: Yes. They are grouped in a very synergistic way. Most of them are in the central and the western part of the country. The reason for this is that most of the country’s free zones are located in these areas. That’s where most of our manufacturers are located. Also, these areas are on the major commercial routes. Most of our members export their goods through Honduras or Guatemala. The Central American Group: I have read that the textile industry in El Salvador is vertically integrated. Can you tell us a little bit about that? Patricia Figueroa: Yes, that’s one of the key elements and, perhaps, one of the most competitive advantages that the textile industry in El Salvador. 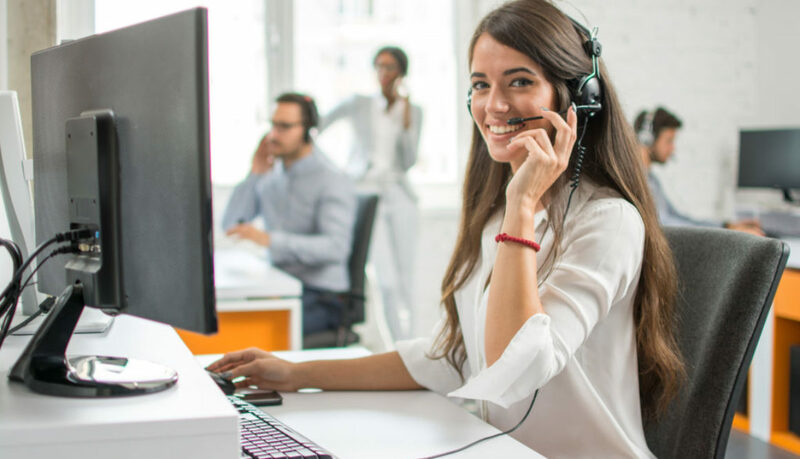 Our industry has been evolving over the years from being a provider of what is called “maquila services,” which are very simple services, to becoming one of the leading industries in El Salvador. It is now vertically integrated and has two very distinct clusters. These are cotton and synthetic manufacturing. These have positioned us in the making of synthetic fabrics and, also, sportswear. The textile industry in El Salvador is very relevant for our economy. It accounts, as I have said, for over forty-five percent of total exports. Additionally, it employs over 80,000 workers in El Salvador. So, the textile industry in El Salvador is a very prominent one. El Salvador is the ninth largest provider of apparel goods to the United States. We are located among the ten most important suppliers. The Central American Group: Why should textile manufacturers choose El Salvador when seeking a location at which to do business and manufacture their goods? What are the advantages of being there? Patricia Figueroa: Yes. Definitely. I think that there are several factors. One of them is geographical proximity if you look at it as a comparative advantage. Because it allows the companies in the textile industry in El Salvador to manufacture goods in the country and bring them with what is called “speed to market” advantage and bring products to consumers in the US at a very fast pace. When looking at the distance in comparison to our Asian competitors this is one of our key advantages. The other one is the free trade agreement that we have with the United States (CAFTA-DR). Other than that, we have agreements with several other countries, which manufacturers can take advantage of. However, the CAFTA-DR free trade agreement is one of the most important and advantageous ones in that it allows companies to benefit from the tariff preferences. Let’s say if you would pay thirty-five percent tariff on a good made in other countries in Asia, and if you combine it with the speed-to-market facility, you have a very good competitive advantage. I would also like to highlight that because of the tradition of the textile industry in El Salvador, it has evolved into being a very sophisticated sector. The professionalism of our workforce is well-recognized. The country itself has a dollarized economy. I think that this has a very positive impact on investors in the textile industry in El Salvador. Also, the legal framework that rules the operations of this type of companies is one of the important factors to promote El Salvador. The Central American Group: One of the things that I have read a lot about is the free trade zone regime in El Salvador. Are many companies that are producers in the textile industry in El Salvador located in free zones? Also, can you tell us about some of the benefits that exist when a company is in a free zone in El Salvador? Patricia Figueroa: Yes, most definitely. The legal framework is one of the key elements. This is an industrial policy that is geared to attract investment and also to promote employment. It has been in place for many years. For over forty years, we have had an export policy that has been adapting to the needs of the market. There are about 220 companies that are operating under this model. It is also a great model for our country because it attracts new investment and gives a great degree of certainty to investors in the textile industry in El Salvador. Among many of the benefits that we can mention, are the tax exemptions that are given to the companies that operate in free zones in El Salvador. These types of exemptions are bound to certain investment and employment requirements. 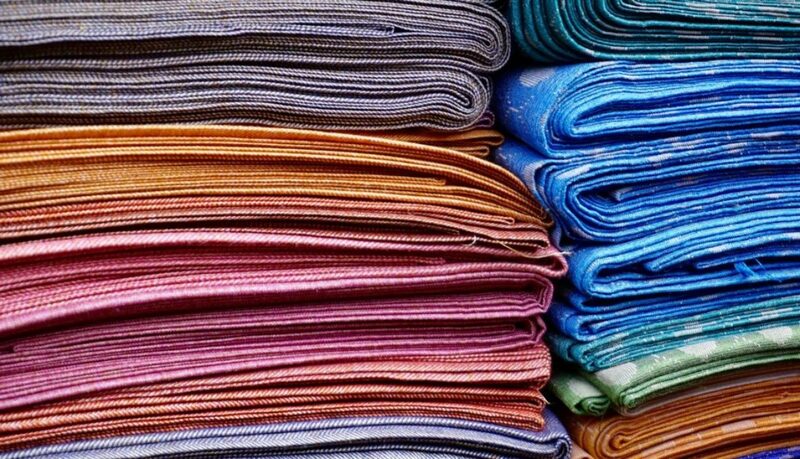 To mention some of the benefits, let’s say that for the first fifteen years, companies operating in the textile industry in El Salvador would be one hundred percent tax exempt. Particularly, if they are located in the metropolitan area. Then the exemption goes down to sixty-percent and forty-five percent. Then you also have municipal tax exemptions, and in addition to that definitely, companies are allowed to import materials and equipment, and anything that is needed to make their product duty-free. The ecosystem that is around the country to make sure that companies in the textile industry in El Salvador is very favorable. Another thing to highlight, also, that there are seventeen free zones in the country, and also the free zone owners assist their companies to ensure that doing business in El Salvador is easy. Overall, these are some of the key benefits of this important legal framework. We also have the investment law that guarantees equal rights for both foreign and national investors. It is really great protection for investors that are coming to the country. El Salvador has been making great strides in trying to provide a pro-business environment so that companies can establish their operations in the fastest fashion and in the best way. The Central American Group: Thank you for that explanation regarding the benefits of being in El Salvador and one free trade zones located in the country. Is there anything that I haven’t ask you that would be of interest to our listeners? Patricia Figueroa: I think that it is relevant and very important to say that the companies in the textile industry in El Salvador always praise the work ethic of our labor force. There is a very, very small rate of turnover. Actually, I think that the quality of the production and the sophistication of what is being made in El Salvador can make it very attractive. There are a lot of opportunities here, and there is a lot in terms of what we are doing in the Association to help companies in training their workers and guiding them in all of there needs. This is particularly true in the start-up phase of their operations. We would definitely be happy to see more companies come into our country. The Central American Group: With that, the companies that are listening to this podcast might have a desire to get in touch with you. Could you please tell us how we can help companies to do that? Patricia Figueroa: Yes, definitely. They can either visit our website (www.camtex.com.sv) or email us at direccion@camtex.com.sv. The Central American Group: Thank you very much for being with us today, Patricia. Learning about the textile industry in El Salvador was very interesting, and we wish you the best of luck. 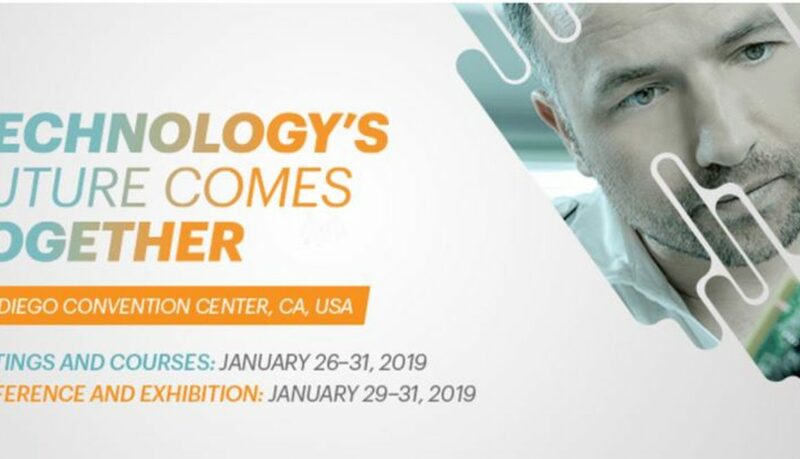 The IPC APEX Expo 2019 will take place at the San Diego Convention Center from January 29-31, 2019. It highlights companies from the printed circuit board and the electronics manufacturing industry (EMS). In addition to the exhibition, the event will include a technical conference, professional development sessions, and discussions on certification programs. These activities will provide networking opportunities for both exhibitors and event attendees. If you would like to speak to our staff regarding options for manufacturing printed circuit boards and electronics components in Cost Rica, fill out the form that is below. We will contact you shortly. 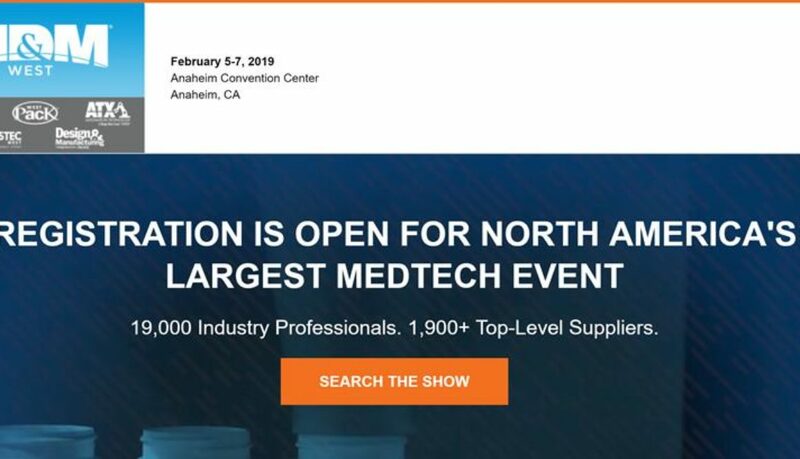 The annual MD&M West trade show and exhibition will take place at the Anaheim Convention Center on February 5-7, 2019. This event brings together influential members of the global medical manufacturing community. Medical Design & Manufacturing is also a place where serious professionals can examine new technologies, be educated, and make connections that will help them to further their efforts. It is expected that approximately 1,9oo suppliers will be present to showcase solutions for contract manufacturing, automation, R&D, medical device components, and more. If you would like to speak to our staff regarding options for manufacturing medical devices in Cost Rica, fill out the form that is below. We will contact you shortly. 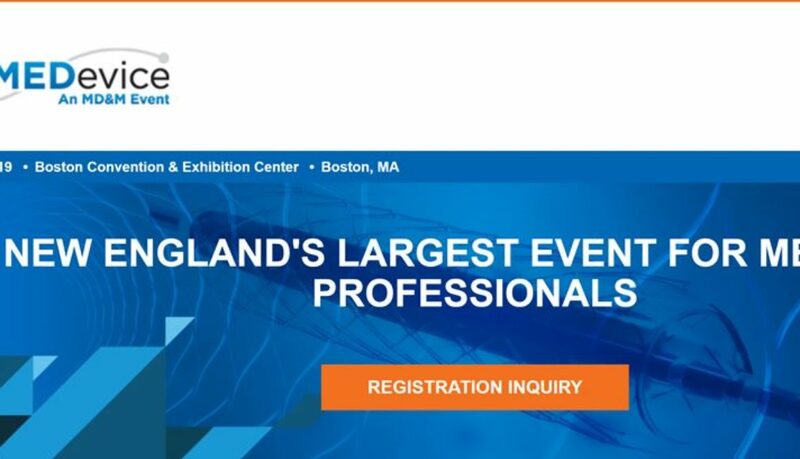 BIOMEDevice Boston will take place at the Boston Convention & Exhibition Center from May 15-16, 2018. The event will bring together more than 4,500 engineers and executives as well as more than 450 leading industry suppliers. In addition to introducing cutting-edge technologies, BIOMEDevice will address contract services and will include educational content. Furthermore, attendees at BioMEDevice Boston will learn about the latest industry trends and the newest technological breakthroughs. If you would like to speak to our staff regarding options for manufacturing biomedical devices in Cost Rica, fill out the form that is below. We will contact you shortly. The executive director of the Central American Group’s Green Park in Costa Rica, Carlos Zacapa, discusses the advantages of locating manufacturing operations at the facility. Today we have with us Carlos Zacapa. He is the executive director of the Green Park Free Zone in Costa Rica. How are you today Carlos? Carlos Zacapa: Hello. All is well. How about you? Central American Group: I am doing fine. We are going to ask some questions about the Green Park Free Zone in Costa Rica. You can tell us about that, but first of all, can you give us some background information on the Central American Group? Carlos Zacapa: Yes. The Central American Group is a group of companies that have been functioning since the 1950s. We are in different sectors. We are involved in real-estate and free trade zone development, and industrial park development in Central America as well. We do third-party logistics in different parts of Central America. The Central American Group: Today we are going to focus on your role in the development of the Green Park Free Zone in Costa Rica. Can you tell us a little bit about the Group’s experience in free zone development? Carlos Zacapa: Sure. The Central American Group started industrial park development in 1985 in El Salvador. We started the Parque Industrial San Marcos. Then we continued to develop the Free Trade Zone Law in El Salvador. After that, we started in 1990 with what is now known as the San Marcos Free Zone. Central American Group: We don’t want to take people’s knowledge for granted. Maybe you can tell us exactly what a free zone in Costa Rica is for those of us that might not know. Carlos Zacapa: Yes. The free trade zone regime in Central America offers a tax-exempt location for companies that are interested in manufacturing and exporting their goods to other countries. Our main clients that are interested in the free zone in Costa Rica are US companies and companies that serve the US market. The Central American Group: El Salvador and Costa Rica are very different in their economic profiles. Could you please tell us what kind of industry is in El Salvador and, also, what kind of industry is in Costa Rica? Carlos Zacapa: Sure. El Salvador is known for light manufacturing, mainly textiles. We have “full package” textile capacity now. There is a synthetic cluster that is already established. It is very strong and is the only one in Central America. Logistics is coming along in El Salvador, as well as regional distribution centers for companies that wish to distribute to all the nations in the region from one country. In Costa Rica, it is a little more technological. Basically, Costa Rica has advanced manufacturing which is mainly medical device manufacturing. Many such companies produce their goods in a free zone in Costa Rica. The Central American Group: What is the experience that the Group has in developing free trade zones in Central America? Carlos Zacapa: As I mentioned earlier, in 1990 we started the development of the San Marcos Free Zone in El Salvador. It now has about 600,000 square feet under roof. In 1998, we started the development of the International Free Zone in El Salvador. This one has about 1.3 million square feet under roof. In 2016 we started developing what is now the Green Park Free Zone in Costa Rica. This one will be about 600,000 square feet under roof as well. However, we are just starting operations this month. Right now, what we have built is about twenty-percent of the free zone. The Central American Group: Why did you choose Costa Rica as the location for the Green Park Free Zone in Costa Rica, as opposed to any other country in Central America? Carlos Zacapa: We actually explored two countries. On one hand, El Salvador, Honduras, and Nicaragua were markets that are like the one that we were already in. We wanted to go a little higher in terms of technology. We actually looked at Panama and Costa Rica. At the end of the day, we felt more comfortable in developing a free zone in Costa Rica. This is because is that the country is more focused on manufacturing. Panama is better known for its financial services industry. We believe that the manufacturing industry in Costa Rica will be more stable, therefore it is a better investment. That has been our experience in El Salvador. That is one of the main reasons that we decided to develop a free zone in Costa Rica. The Central American Group: There is one other question that I would like to ask with respect to Costa Rica. We know that companies that are looking to produce offshore often choose to go to a place like Mexico, for instance. Mexico is sold to manufacturing executives in the US on the basis of its low wages. Costa Rica has a different selling point. Can you tell us a little bit about that? Carlos Zacapa: Yes, definitely. Costa Rica’s selling point would be the highly qualified labor force that is in Costa Rica. We have a large number of very educated people. More specifically, what Intel did in Costa Rica helped to build a labor force that is technologically trained. From there the labor force “jumped” to medical device manufacturing. This began with Baxter’s arrival in a free zone in Costa Rica in 1985. Right now, twenty of the world’s most prominent medtech companies are established here. This has caused a supplier base to establish itself here in Costa Rica, as well. So, basically, our selling point is that of a qualified labor force. In addition to that, we offer investors political and economic stability in Central America. The Central American Group: You’ve explained a little bit of information about what makes Costa Rica a good place to set up operations. Can you tell us what makes the Green Park free zone in Costa Rica different from its competitors in the region? Carlos Zacapa: Sure. The Green Park Free Zone in Costa Rica is a part of the Central American Group. We are a vertically integrated organization. Basically, we do everything. We can handle all of the construction from the land movement to the delivery of a built-to-suit structure. We have experience doing this since 1985. The Green Park Free Zone in Costa Rica is not a huge park. 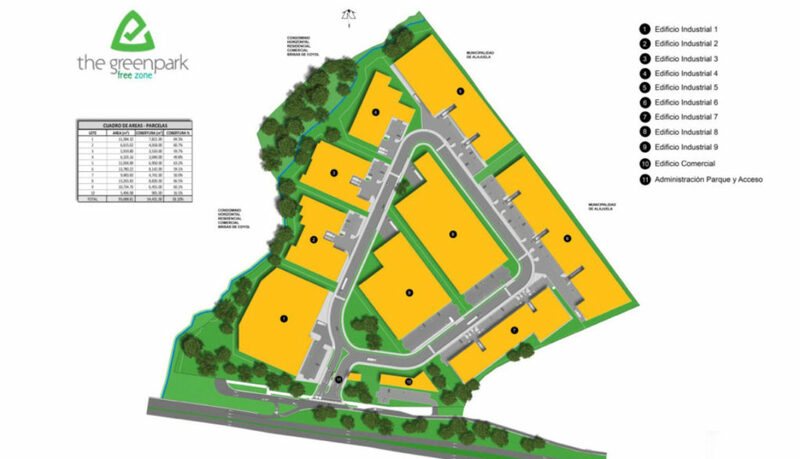 It is a park that we expect will have between 15 and 18 tenants. We believe that we can give this number very personalized attention. In addition to building the parks, our company serves as their administrator as well. We do not hand over the administration of the parks and the free zones to third parties. We do everything internally. Our response time on things like maintenance and anything that a client may need is, basically, immediate. Central American Group: One of the things that strike me is the name of the Green Park Free Zone in Costa Rica. Why did you choose that name? Carlos Zacapa: First of all, the Green Park has international environmental certifications. We are already EDGE certified, and we are in the process of being LEED certified. By the end of 2018, we should have the LEED certification completed. Also, we have received a certification for quality from the Government of Costa Rica. It is called “Essential Costa Rica.” Our facilities in the Green Park Free Zone in Costa Rica were born green. We are not adapted green. All of our buildings are LEED designed, which makes them energy efficient. If a company wishes to pursue a LEED certification on their own, they will already have a head start on the process because they are tenants in the Green Park. We do sustainable construction. We make sure that we separate residues, and we make sure that anything that is bought for the building and is residue is disposed of in the proper manner. In the infrastructure, we have what we call eco or “green” sidewalks which are permeable. This assures that all of the rainwater that falls goes back into the ground. This means that we have zero hydrological impact from the park. Also, we have all rainwater going into what we call retention ponds. The illumination in the Green Park Free Zone in Costa Rica is all LED. We are also starting the process of receiving a neutral carbon certification. Additionally, in the buildings, we are using water collection systems which use rainwater to supply for needs of the resource in the bathrooms and sinks. In short, we are aiming to achieve a lot of sustainability. Central American Group: Costa Rica is known for its attention to environmental issues. It sounds like what is happening in the Green Park Free Zone in Costa Rica is in line with what is happening in the country. You mentioned that The Green Park, in addition to being green, is human. What do you mean by that statement? Carlos Zacapa: Our philosophy in the Central American Group is that we are not here just to do business, but we also have to give back to the community. What we have done is to form a Social Responsibility Committee that has put a social responsibility program in place. We help at-risk children that live in our community. These could be youths that have become involved with drug use or gangs. We have developed a sports program. Soccer is very very big in Costa Rica. We do other things as well, we connect with local leaders to give the youth talks on how to take care of each other on the playing field as well as off. Our goal is to help these youth to have a good future. We have volunteers from our organization, as well as personnel from companies in our free zones, that participate in our program. This represents a two-way street. This is making both our people and those of our clients more aware of the real challenges that are facing our community. We help not only the youth that we connect with, but we also help ourselves. I think that this is a unique focus that we are pursuing. Central American Group: It sounds like you have a good approach there. You have got a good infrastructure related to developing both the human and the physical needs of companies If someone wants to get in touch with you to ask questions, is there an email address that you can be reached at? Central American Group: Thank you very much for taking the time to speak with me today. We appreciate it and wish you good luck both now and in the future. Carlos Zacapa: Thanks to you as well. I appreciate it. Central American Group: Thank you for speaking with us about the Green Park Free Zone in Costa Rica.